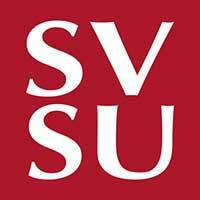 SVSU students, faculty, and staff work with community leaders to design and implement research projects for the greater good of the public. A team of SVSU students and professors mapped every shooting and homicide in Saginaw from 2005 to 2013 and statistically analyzed the data, as featured in the Saginaw News. The research showed a trend that crime prevention units could use: vacant housing and poverty. The team reported their findings to the Saginaw Police Department and the Saginaw Crime Prevention Council. The Saginaw Police Department has increased patrols in neighborhoods identified in the project as having a high amount of crime. The two students integral in the project sought a field-experience that would benefit the Saginaw community and set them apart as they applied to grad school. SVSU’s Saginaw Bay Environmental Science Institute, which serves the community as a scientific resource and advances environmental citizenry of the Saginaw Bay area, is supported by 14 ongoing partners including: Bay County Health Department, Michigan Department of Environmental Quality, Kawkawlin Property Owner’s Association, and Great Lakes Innovative Stewardship Through Education Network. In 2013, the Institute received additional funding ($413,234) from the University of Michigan Water Center. 84% of students will participate in experiential education in their field of study during their undergraduate education. Students have received credit for community-based, participatory research focused on public health issues affecting the region, including water quality, pollution, land use, wildlife health/habitat, environmental health, and green spaces. SVSU students and faculty work with community leaders to design and implement research projects that address the needs of the public.